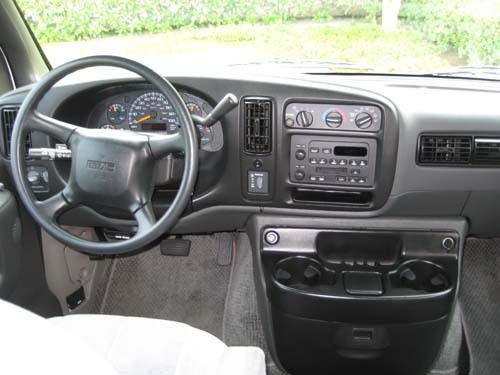 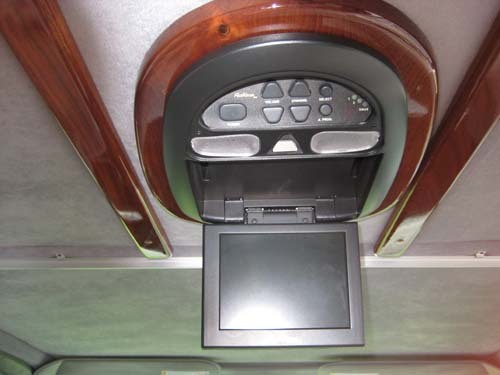 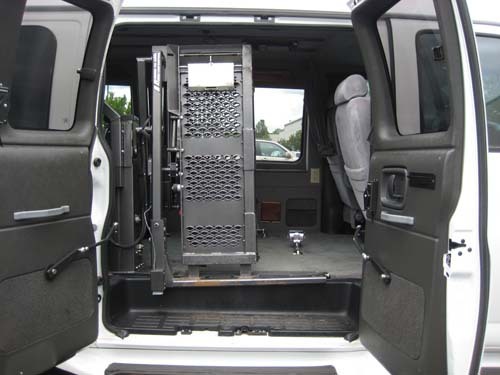 2001 GMC Savana with Braun Vangator Lift. 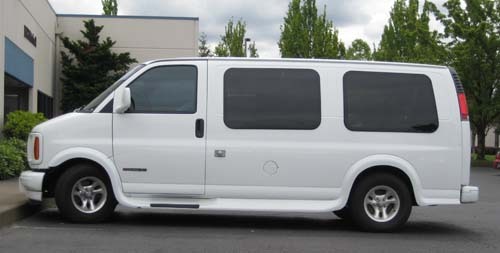 White with gray cloth interior, Miles: 26,540, 4.3L V6 with 4 speed auto trans., PW, PDL, PM, F&R heat and A/C, AM/FM cassette, mid-row DVD system, power driver seat; Conversion interior with: tinted windows with window blinds, bi-fold manual rear sofa, wood and lighting package. 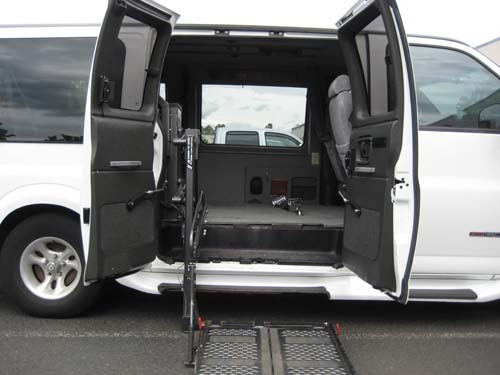 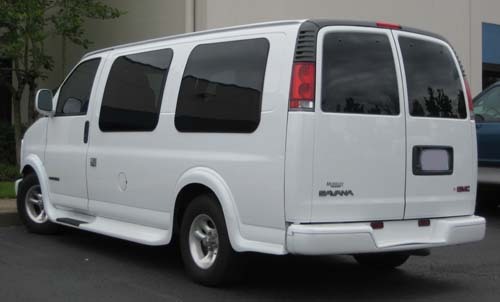 Braun Vangator Lift: Power door operators, remote entry system, Q’Straint wheelchair restraint system, Door opening: 48”, Interior height: 52”. 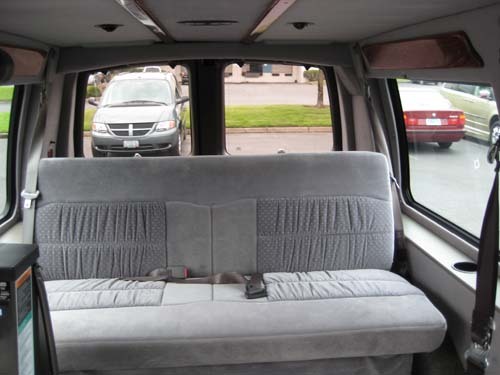 $12,900 This is a consignment van.